VIEW OUR LATEST EXAMS RESULTS HERE. 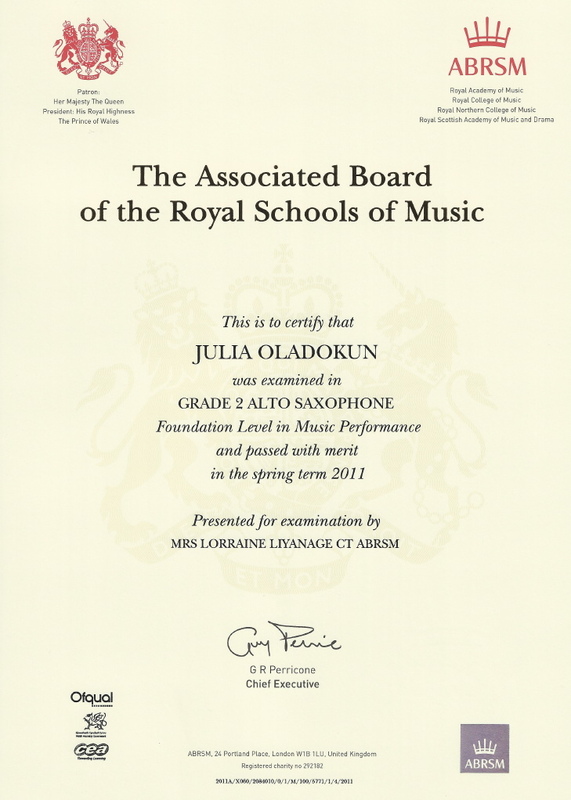 Congratulations to all students that recently took their ABRSM exams. The feedback from the examiner was very positive. We are very impressed with all your hard work and are delighted to see this being rewarded with excellent marks. We would also like to thank all parents for the invaluable support that you give your children at home with their practice. February 2013 Update: As this is one of my most popular blog posts, I thought I would share some of my students’ achievements . 4 Distinctions in a row – well done, Safiya! 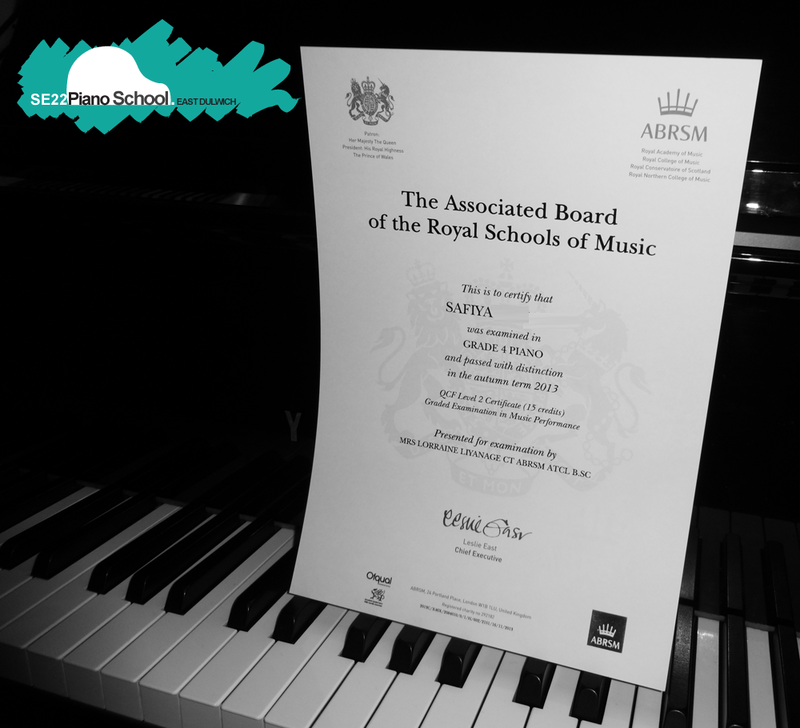 Hannah, Grade 1 ABRSM Piano, Distinction. January 2013. 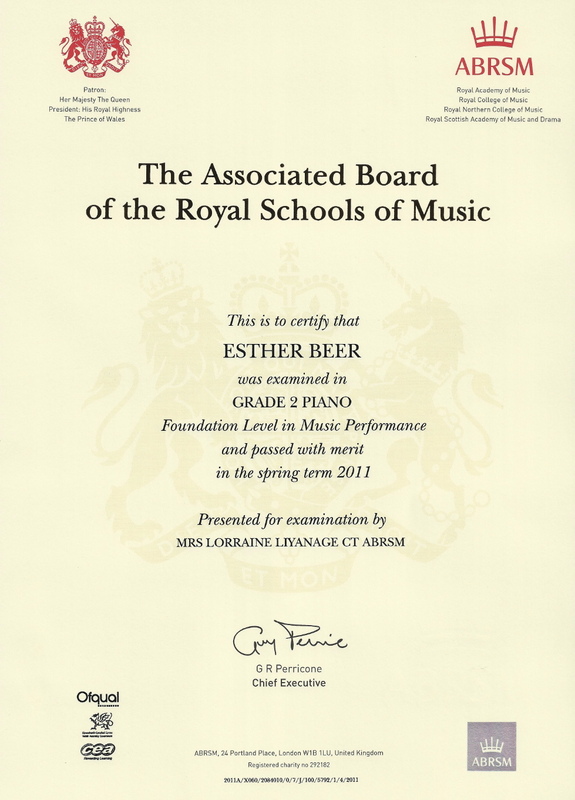 Finally, a note of thanks to ABRSM for the efficiency in issuing the results so quickly. Gone are the days of waiting for the envelope to arrive in the post now that results are issued online with the breakdown of marks. We’ve already submitted all the entries for Summer Exams and are looking forward to a busy exam session covering Grades 1 to 8. This entry was posted in ABRSM, ABRSM Prep Test, Associated Board of the Royal Schools of Music, Blackheath Conservatoire of Music, Exam results, Exams and tagged ABRSM, ABRSM Grade 1, ABRSM Prep Test Piano, East Dulwich, Latest ABRSM Exam Results, Piano lessons East Dulwich. Bookmark the permalink. Hi my name is Alfred Keoy and from Malaysia. My daughter Keoy Harn Ling is fourteen and have sat for Grade 5 theory. By the way is the theory result for Grade 5 been out. 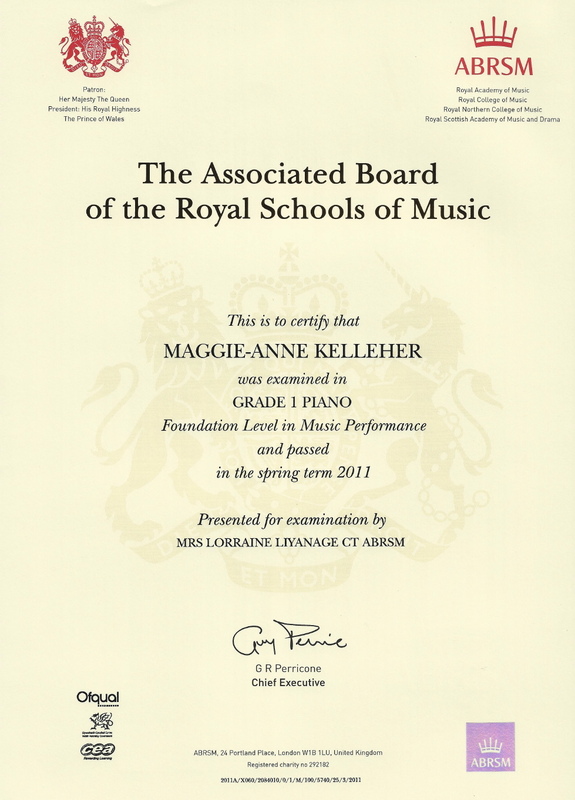 How do I check it out with ABRSM thru mail or online? Thank you. Best Regrads and have good day. Check with your teacher, or if you entered yourself online, then use your Applicant Number and password to log in online to check. Good luck!